Today, we’ll take a look at some of the neat features and capabilities of TypeMonkey, the latest script from Dan Ebberts and Orrin Zucker. TypeMonkey is a brilliant tool for After Effects that makes it stupidly simple to create kinetic typography with a click of a button. With it, you can generate complex text layouts, add type animations, audio sync with markers, dynamically drive the camera, and much more. In this tutorial, we’ll go over how to use TypeMonkey’s automatic abilities to create a title animation which can easily be modified and adjusted while maintaing automatic camera targeting and transitions. Remember, you can do a lot more with TypeMonkey than just kinetic typography. You can use TypeMonkey to generate a complex system of nulls to automatically frame up 3D objects in a scene. Because TypeMonkey syncs with markers, you can easily adjust the timing of your camera by shifting the markers around. To get interesting results, try TypeMonkey with other scripts that generate markers, such as Beat Assistant by Mamoworld. It’s important to remember that TypeMonkey is just a tool, allowing you to setup and work faster, but don’t be afraid to add your own twist to the rig. You can adjust the camera to create even more dynamic animations by keyframing and adding expressions to various values including Depth of Field, rotations, and much more. 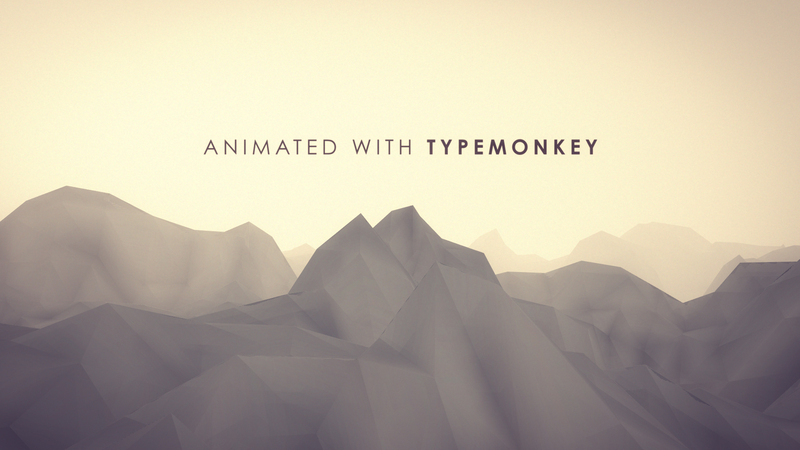 Overall, TypeMonkey is an extremely handy script for anyone working with type in After Effects and I’d highly recommend it for all motion designers out there. You can get TypeMonkey here. So what do you think about TypeMonkey? Would this script be handy in your workflow? Let me know in the comments below! It’s very helpful! Thanks for your tut! Ive seen a lot of tutorials over the last years! but yours are simply awesome! Congratulations! Wow, thanks for the support Franco! wonderful tutos and resource….great job!!! Can you share your preset’s Mir for background ? I would also like to know,thank you ! So when I change the position of the TM Master Control layer to change the position of the first text layer, it changes the position of the second text layer, not the first one. When I change the position of the 2nd text layer null (the 5th layer), the second text layer remains in the same place. Which is a bit different than your tutorial. Any idea how I can fix this? Hmm, that shouldn’t happen. May want to ask on the aescripts product page for this.